Services - The Edward C. Mazique Parent Child Center, Inc.
Each family is different and so are the children that we serve. 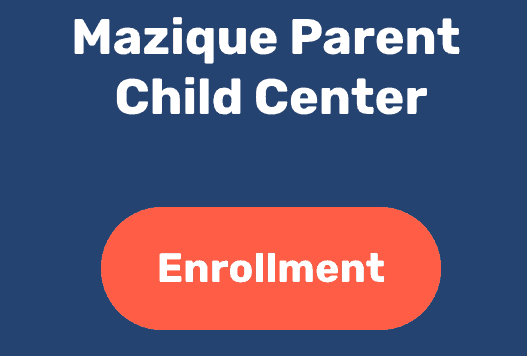 In addition to child care, at Mazique we offer various programs such as education, health, nutrition, and community engagement. Learn more about our programs. Our curriculum provides guidance on getting to know our families and having the appropriate skills to work with them. It also focuses in on the individual differences of children (educational levels and socio-economic status), for example, their temperaments, life circumstances, dual language learners, disabilities and mental health, building relationships, promoting self-regulation, responding to challenging behaviors, and providing strategies to guide children’s learning. The philosophy of The Creative Curriculum is that young children learn best by doing! A balance of teacher centered, child led, individualized, independent and real world instruction. Critically thinking, finding multiple ways to solve problems, and discovering various ways to express their work and thoughts. For over 50 years, the Edward C. Mazique Parent Child Center, Inc. has been viewed as “The Next Best Place to Home…Where We Are Doing What Is Best For Children!” Our research based curriculum explains and guides staff in providing high quality, developmentally programs that meet local and national standards. To provide high quality services and programs for children and families, ECMPCC meets and maintains these standards through the District of Columbia’s Capital Quality Rating Improvement System (QRIS). Thus Capital Quality system is public-facing, which allows parents to review and compare the program quality of various child development providers throughout the District, and make informed decisions when deciding where to enroll their child. Research shows a direct correlation between high-quality early learning and children’s positive long-term outcomes in life, including increased educational attainment, healthier lifestyles, and more successful careers. NAEYC Accreditation helps teachers and other staff at early learning programs develop a shared understanding and commitment to quality. Jumpstart provides language, literacy, and social-emotional programming for preschool children from under-resourced communities and promotes quality early learning for all. Maret School is an independent, co-ed, college-preparatory day school in Washington, DC, conducting weekly Read-Alouds with Preschoolers on a weekly basis to enhance language and literacy skills. The United Planning Organization Foster Grandparent Program seeks to provide opportunities for persons 55 and older to make a difference in the life of a child. Volunteers serve at thousands of local organizations. Nursing students conduct Clinical Rotations within the Mazique Centers focusing on health education, taking heights, weights, BP, head circumferences, etc. DC Fire and EMS Department strive to do their part in educating children about the dangers of fire, and what to do if ever there’s a fire. Visits provide a basic understanding on emergency situations and prevention. The Early Childhood Mental Health Consultation Project, operates in 24 child development centers located throughout the District offering child and family-centered consultation services. The Parent Infant Early Childhood Enhancement Program serves primarily children five years of age and younger. The program involves play and art therapy, infant observation, and Parent Child Interaction Therapies. The DC SEED Program provides behavioral health supports and services to young children (0-6 years old) and their families. Mental Health Consultants focus on early childhood behavioral health treatment services. Strong Start DC Early Intervention Program is a statewide, multidisciplinary system that provides early intervention therapeutic and other services for infants and toddlers with disabilities and developmental delays. Early Stages is a DC Public Schools assessment center for children. Early Stages will identify any delays that children may have and arrange services to address them. All services are free. Field Trips provide children with rich, rewarding learning opportunities and experiences outside the classroom. They are recognized as important moments in learning and range from cognitive to affective outcomes. Critical thinking is an extension of any new experience. Screenings and assessments play a vital role in caring for and teaching children. Within the first forty-five days of school, all children are screened using the Ages and Stages-3 and the Ages and Stages Social Emotional. Children with data revealing any developmental delays, with parental consent, are referred to our LEA (Local Education Agencies), DC Early Intervention (Strong Start) or Early Stages, for further evaluations and, if determined, early intervention. 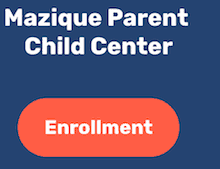 Mazique provides high-quality health services including oral health, mental health and nutritional services while continuously developmenting culturally and linguistically appropriate growth and support for our children and families.